Enjoy all the fun in the sun with our great selection of little boys swimwear! 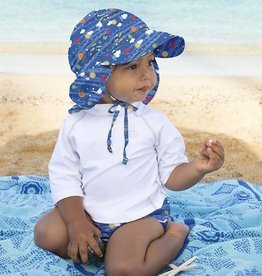 We have lots of cute rash guards and swim trunks for your little guy in stylish prints and colors that will also keep him protected from the sun. 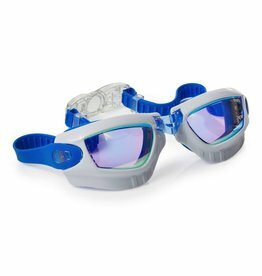 We generally choose swimming clothes for boys with SPF 50 or higher that is chemical free. It won't wash out so you know that he will always be protected from the sun! Not seeing your size? Give us a call at 781-235-0005 and we can help! 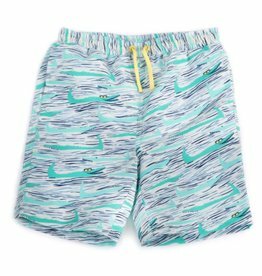 Rock the beach or pool with these boardies. Soft elastic waistband with workable drawstring and mesh lining. 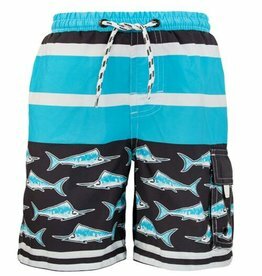 The aqua and white stripe with aqua swordfish print are a cool surfer look. Your boy will love you for it!